I was beginning to wonder if we would see any new bands this year for Toronto Carnival after the Toronto Mas Band Association put out a call for new participants. 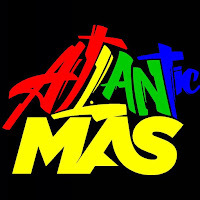 I'm thrilled to see that DURHAM MAS will be in the mix for the 2015 Toronto Carnival season. The band's presentation is entitled "SEASONS OF CHANGE"
All the best to Durham Mas this season and for many carnival seasons to come!